I'm happy to introduce my readers to American Posh, an organic baby clothing line who raises the bar in the baby clothing world. Established in 2012 by Denisa Dragu, her Posheez onesies are have a 3-in-1 fit to give a custom fit for each baby and last up to six months! I really believe that the purpose behind her baby onesies are absolutely genius. How many times have you bought baby clothes to find out that it doesn't have a good fit for your baby? I don't know about you, but I get tired of wasting my money. We work hard to grow our babies and keep them safe during pregnancy, so why would we lower our standards when they are outside the womb? 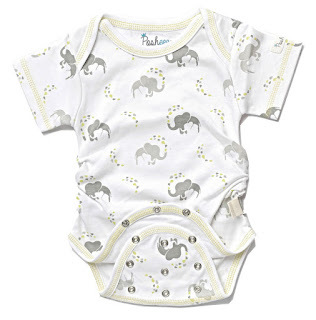 American Posh makes their baby clothes with only 100% certified organic cotton and non-toxic dyes. It gives me peace of mind to have Ellia wear these clothes. At 2 months old, Ellia is around 23 inches long and 12 lbs. She's a big girl! The fit was amazing using the smallest setting even at how long she is already. And for my fellow cloth diapering moms, you know what a pain it can be to have to move your baby a size up in clothes because of the bulkiness of some diapers. With three adjustable snap settings, this is no longer a worry! Don't just take my word for it. Check out this video to learn more about the story of Posheez Snap n' Grow Adjustable and Organic Bodysuits. Posheez Bodysuits are available for purchase on their website and Amazon.com. Be sure to follow American Posh on Facebook, Twitter, and Instagram! 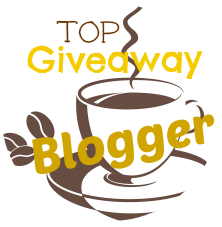 Thank you to Snowstorm Blog, A B**** and a Blog, and Couponing Momma for helping with the promotion of this giveaway! will be contacted via e-mail and will have 48 hours to respond or another winner will be drawn. Disclaimer: This sponsored giveaway was created in partnership with American Posh. A Fulfilled Mommy received a free product in exchange for my honest review. All opinions are honest, my own, and may differ from your own. A Fulfilled Mommy and other participating bloggers are not responsible for prize fulfillment.